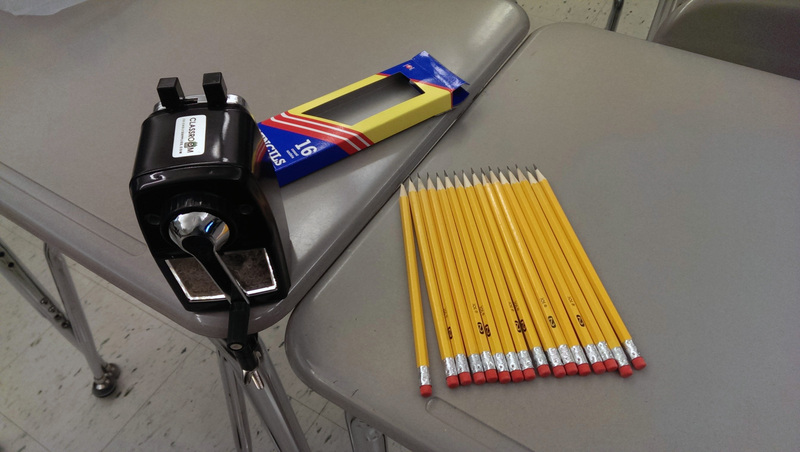 I have long searched for a solid pencil sharpener that will work for middle school students. My experience has been that electric pencil sharpeners, while fast, tend to be loud and within about a year or two die. The school provided manual pencil sharpeners are useless about 2 months after they're installed and proceed to just eat all the pencils. That left me on a search for some kind of alternative. Pinterest led me to different blogs that kept touting this magical pencil sharpener that actually worked. 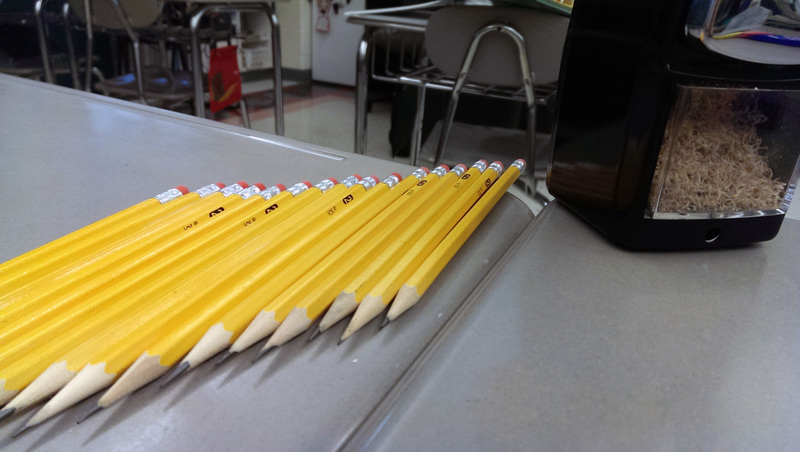 Not only that, the pencil sharpener was rumored to be quiet. In my research I was brought to the same website by three different teacher blogs that all agreed this pencil sharpener was a "must have" for the classroom. I was skeptical that it was too good to be true, and decided to look further into the matter. I had to test it out for myself. Enter Classroom Friendly Supplies. I ordered a black pencil sharpener (although they offer a variety of colors) and waited for it to arrive. 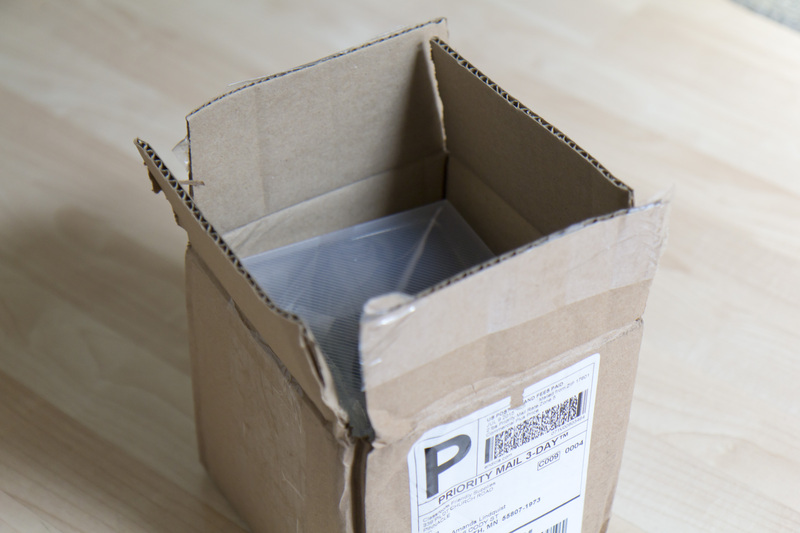 Within 10 days, I got a small package at my front door. It was here! Time for the testing to begin. And what better way to test a pencil sharpener than to buy cheap Dollar Tree pencils? I was sure that, just like my classroom pencil sharpener, this Classroom Friendly Supplies pencil sharpener would not be able to handle the cheapness of these pencils. I'm happy to say I was proven wrong. This is a 5 out of 5 star product in my book! I think it's fair to say that I'm not only impressed with this pencil sharpener, but I kind of love it! I was ridiculously excited once I figured out how it worked and saw that it was indeed a magical pencil sharpener well worth the cost.